Unisex running shorts for boys. Cut and sewn with contrasting trimmings. Side slits. Normal fit. Colour-customisable. Slip on the inside. The right attire to help you run fast. 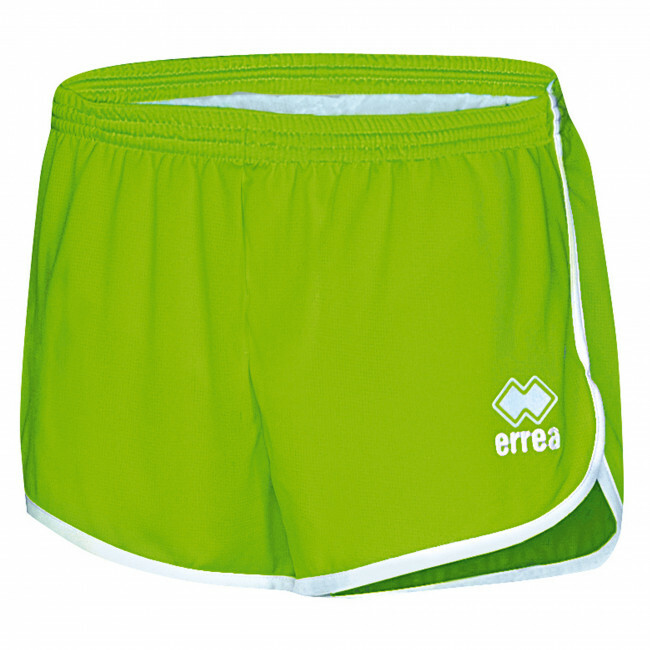 If the Bolt jersey suits your needs for the upper part of your running attire, when we talk about your legs the ideal piece of equipment will certainly be the Giava unisex running shorts for boys by Erreà. They are extremely lightweight and breathable, and they perfectly wrap around your body lines without hindering you while running, while letting your skin breathe and feel fresh even when your body warms up during your training sessions. Finally, the ergonomic seams and the side slits provide great freedom of movement.